These terms and conditions outline the rules and regulations for the use of This Is Black Metal’s Website. These Terms and Conditions (as amended from time to time) constitute the entire agreement between you and This Is Black Metal concerning your use of this website and supersede any previous arrangement, agreement, undertaking or proposal, written or oral between you and This Is Black Metal in relation to such matters. This Is Black Metal reserves the right to update these Terms and Conditions from time to time. If it does so, the updated version will be effective as soon as it is uploaded on to this website. No other variation to these Terms and Conditions shall be effective unless in writing and signed by an authorized representative on behalf of This Is Black Metal. By accessing this website we assume you accept these terms and conditions in full. Do not continue to use This Is Black Metal’s website if you do not accept all of the terms and conditions stated on this page. “You” and “Your” refers to you, the person accessing this website and accepting the This Is Black Metal’s terms and conditions. “Ourselves”, “We”, “Our” and “Us”, refers to This Is Black Metal. “Party”, “Parties”, or “Us”, refers to both you and ourselves, or either you or ourselves. If you would prefer to opt out of cookies, it is possible. However you should be aware that you might lose some features and functionality of the website if you do so; cookies, including those which have already been set, can be deleted from your hard drive. You can also change the preferences/settings in your web browser to control cookies. Deleting or blocking cookies may reduce functionality of the site. To learn more about how to reject cookies go to the help menu within your internet browser. If you experience any problems having deleted cookies, you should contact the supplier of your web browser. Unless otherwise stated, This Is Black Metal and/or its licensors own the intellectual property rights for all material on This Is Black Metal. All intellectual property rights are reserved. You may view and/or print pages from https://thisisblackmetal.com/ for your own personal use subject to restrictions set in these terms and conditions. Articles may be copied, as long as https://thisisblackmetal.com/ is cited as the source with a live link back to https://thisisblackmetal.com/ (home page or specific article). Do not use rel=”nofollow” on this link, as this undermines the spirit of crediting the source. You may NOT copy entire reviews or interviews for posting elsewhere. You may copy an excerpt of an interview or review and link back to the full interview or review on https://thisisblackmetal.com/. You may not hotlink to any images on https://thisisblackmetal.com. Hotlinking means placing the image within another web site that references the source image on our site/server (e.g. “<img src=”https://thisisblackmetal.com/“>). Images used must be copied to your own server or referenced from an image sharing service. You may not use any images from our photo galleries without explicit permission to do so. If permission is granted, a link back to https://thisisblackmetal.com is always required. Selling, renting or sub-licensing material from https://thisisblackmetal.com/. Redistribution of content from https://thisisblackmetal.com/ (unless content is specifically made for redistribution). Thank you for respecting our copyrights. This Agreement shall begin on the date hereof. By this agreement users acknowledge and accept the international character of the website “This Is Black Metal” and they are committed to comply with the code of conduct (netiquette) as well as the following obligations. Certain parts of this website offer the opportunity for users to post and exchange opinions, information, material and data (‘Comments’) in areas of the website. In order to post a comment, you will need to be logged into an active Facebook® account. You understand that, when you post a comment for example to a CD/DVD review, such information, as well as your Facebook screen name and/or associated profile photo, will become publicly available on the Site.  This Is Black Metal does not screen, edit, publish or review Comments prior to their appearance on the website and Comments do not reflect the views or opinions of This Is Black Metal, its agents or affiliates. Comments reflect the view and opinion of the person who posts such view or opinion. To the extent permitted by applicable laws This Is Black Metal shall not be responsible or liable for the Comments or for any loss, cost, liability, damages or expenses caused and or suffered as a result of any use of and/or posting of and/or appearance of the Comments on this website. This Is Black Metal reserves the right to monitor all Comments and to remove any Comments which it considers in its absolute discretion to be inappropriate, offensive or otherwise in breach of these Terms and Conditions. In addition, This Is Black Metal shall have the right in its sole discretion to suspend or terminate your right to use this site in whole or in part in the case of non-compliance with the terms and conditions. The Comments do not contain any defamatory, libelous, offensive, indecent threatening, inflammatory, abusive, homophobic, pornographic, or otherwise unlawful material or material which is an invasion of privacy. The Comments do not constitute or advocate illegal activity or discuss an intent to commit an illegal act. The Comments do not include programs which contain viruses, worms or any other malicious computer code, files or programs designed to interrupt, destroy or limit the functionality of any computer software or hardware or telecommunications; violate any policy or regulations established from time to time regarding use of this Site or any networks connected to this Site. The Comments do not cause damage to adults in any way. to solicit or promote business or custom or present commercial activities or unlawful activity. in pretense of being another individual or legal entity or under false declaration of user’ s identity or on deceptive declaration concerning the cooperation with another individual or legal entity. to display, publish, transmit or use other methods in order to install advertisements or other content of promoting products or sending spam. to interpolate or disrupt the services, servers or networks connected with This is Black Metal or in violation of the preconditions, procedures, and user regulations of the network. in violation in any way of privacy and the personal and social rights of other users / members (such as the collection and / or storage of personal data of other users / members). You hereby grant to This Is Black Metal a non-exclusive royalty-free license to use, reproduce, edit and authorize others to use, reproduce and edit any of your Comments in any and all forms, formats or media. This Is Black Metal has the right and ability to ban users (i.e. disable any and all user accounts) who do not adhere to the terms and conditions, at the sole discretion of the site administrator. If you are among the organizations listed above and are interested in linking to our website, you must notify us by sending an e-mail to info@thisisblackmetal.com. No use of This Is Black Metal’s logo or other artwork will be allowed for linking absent a trademark license agreement. We reserve the right at any time and in its sole discretion to request that you remove all links or any particular link to our Web site. You agree to immediately remove all links to our Web site upon such request. We also reserve the right to amend these terms and conditions and the linking policy at any time. By continuing to link to our Web site, you agree to be bound to and abide by these linking terms and conditions. Third Parties: This Is Black Metal may feature products and services of third parties or contain links to websites operated by third parties. This Is Black Metal does not have any influence or control over any such products or services or any third party website. Unless otherwise stated, This Is Black Metal is not responsible for and does not endorse any products or services or any third party website, or its availability or contents. This Is Black Metal is not responsible for any agreement or understanding you enter into with a third party through a third party website and/or in relation to any products or services. From time to time, This Is Black Metal may receive a fee and/or commission from a third party product or service provider if This Is Black Metal features a product or service on the site or if you link to a third party website from This Is Black Metal site and purchase products or services from them. You acknowledge that you are solely responsible for maintaining a secure password for the purpose of gaining access to the member sections of this website. You agree to indemnify This Is Black Metal in full and on demand from and against any loss, damage, costs or expenses which they suffer or incur directly or indirectly as a result of your use of this Website other than in accordance with these Terms and Conditions. Downloads: Without limiting the foregoing, you expressly agree that This Is Black Metal and its team members and/or affiliates shall have no liability whatsoever for the performance of any software product you purchase and/or download through, or via a link from This Is Black Metal website. You expressly acknowledge and agree that use of any download is at your sole risk and that the entire risk as to satisfactory quality, performance, accuracy and effort is with you. To the maximum extent permitted by applicable law, downloads are provided “As Is” and without warranty of any kind, and This Is Black Metal hereby disclaims all warranties and conditions with respect to the download, either express, implied or statutory, including (without limitation) the implied warranties and/or conditions of merchantability, satisfactory quality, fitness for a particular purpose, accuracy, quiet enjoyment and non-infringement of third-party rights. This Is Black Metal does not warrant against interference with your enjoyment of the download, that the functions contained in the download will be continuous, uninterrupted, secure, virus-free, or error-free, or that defects in the download will be corrected. Should the download prove defective, you assume the entire cost of all necessary servicing, repair or correction. Nothing in these Terms and Conditions shall be construed as excluding or limiting the liability of This Is Black Metal for death or personal injury caused by its negligence or for any other liability which cannot be excluded by law. This website is controlled and operated from Greece. This Is Black Metal makes no representation that material contained on this website is appropriate or available for use in other locations. Those who choose to access this website from other locations do so on their own initiative and are responsible for compliance with local laws if and to the extent local laws are applicable. Some jurisdictions do not allow the exclusion of implied warranties or limitation on applicable statutory rights of a consumer, so the exclusions and limitations as described above may not apply to you in whole or part. To the extent that the website and the information and services on the website are provided free of charge, This Is Black Metal will not be liable for any loss or damage of any nature. To the extent that there is a charge for the website and the information and services on the website and if This Is Black Metal is liable to you directly or indirectly in relation to this website, any third party websites, links to third party websites, the material, content, or any products or services offered on or through this website or third party website, that liability (howsoever arising) shall be limited to the sums paid by you in consideration for This Is Black Metal granting you membership to this website. You agree to indemnify and hold This Is Black Metal and its team members harmless from and against all liabilities, legal fees, damages, losses, costs and other expenses in relation to any claims or actions brought against This Is Black Metal arising out of any breach by you of these Terms and Conditions or other liabilities arising out of your use of this website.